Sardinia’s main attraction is its beautiful coastline and well-organized resorts, which attract the rich and famous from all over Europe. 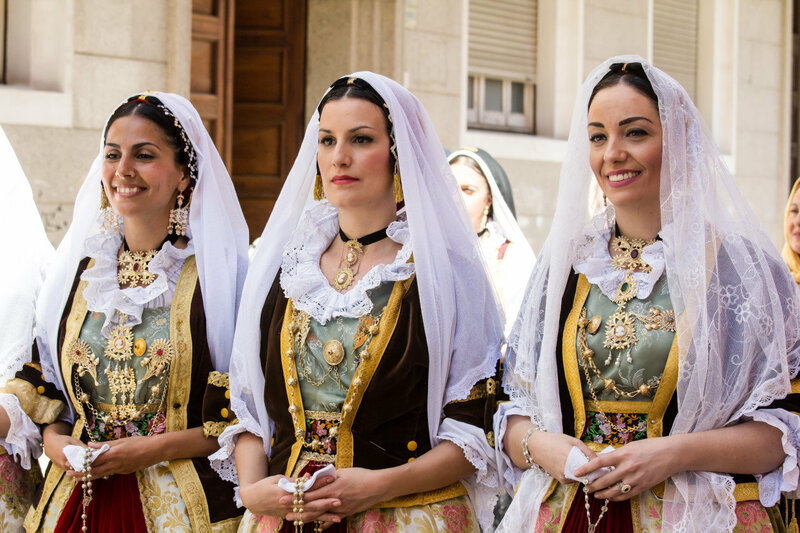 But there’s more than that to Sardinia, including archeological traces of its first endemic civilization, fine Romanesque churches built during the Pisan occupancy, a string of fortresses erected by the Genoans and towns that are more Spanish than Italian. The island is increasingly geared to international visitors. Standards of accommodations and service are improving all the time. 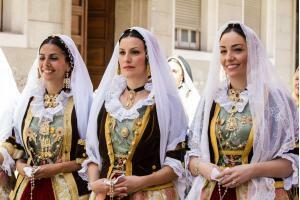 Sardinia enjoys a pleasant Mediterranean climate for the most part. Spring, early summer and autumn are the best times to visit. If you want a beach vacation, summer is best for its diving, sailing and wind-surfing – be sure to book well in advance as Sardinia is a popular choice with mainland Italians. 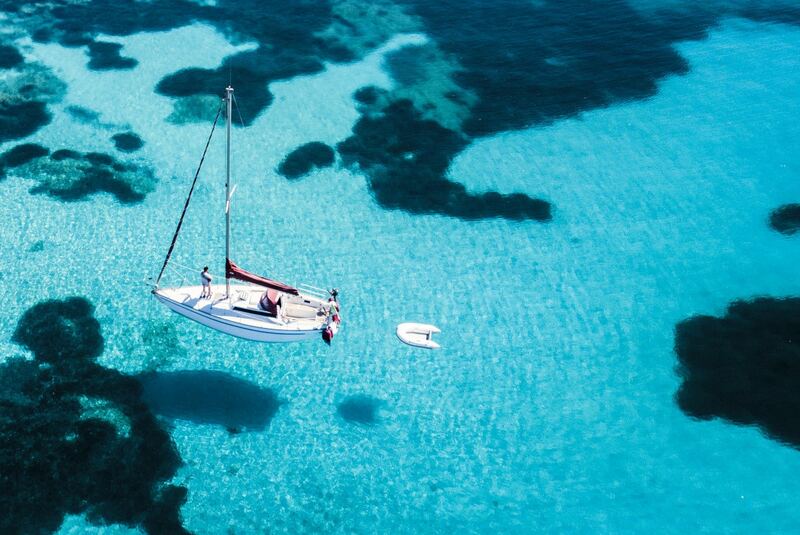 Aerial view of a sail boat in front of Mortorio island in Sardinia. Amazing beach with a turquoise and transparent sea. Emerald Coast, Sardinia, Italy. The waters around Sardinia are among the clearest and cleanest in the Mediterranean, their beaches attracting tens of thousands of visitors who come to enjoy the sun and sea. Around the island, beaches range from tiny hidden coves to glorious stretches of golden sands. The Costa Smeralda (the Emerald Coast) in the northeast is the most famous stretch, its granite cliffs and turquoise sea providing great diving, snorkeling and sailing. South, the Golfo di Orosei is a paradise for those seeking peace and quiet. Many of its idyllic coves, backed by limestone cliffs, are accessible only by boat or on foot. Poetto, outside Cagliari and south again, provides a lively contrast. Packed with locals and visitors, its 6 kilometers (4 miles) of sandy beaches are well provided with bars and restaurants. The southeast corner at Piscinas has 9 kilometers (6 miles) of sand-dunes covered with feathery tamarisk, juniper and maquis. Some dunes top 165 feet, the highest in Europe. North of here and south of Alghero, you’ll find more sandy beaches and clear sea, which give way to the dramatic cliffs to the north and south of Alghero itself. Cala Domestica beach, Sardinia, Italy. Sardinia is the second largest island in mediterranean sea. Wind-surfing enthusiasts should head for the north coast, with its guaranteed steady, strong breezes. If you’re interested in birdlife, you should see plenty in the cliffs, an ideal nesting habitat. Herring gulls are everywhere, but also look for the rarer Audouin’s gull and cormorants fishing from the rocks. Peregrine falcons and kites also use the cliffs as nesting areas. 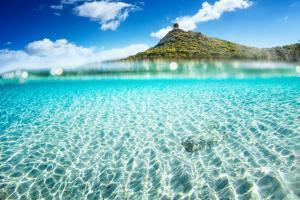 Sardinia’s clear azure waters are the cleanest in Italy, with some areas designated international marine reserves. This makes for wonderful diving into waters rich in flora and fauna. Coral grows from 90 to 300 feet down; the mainly red and white Sardinian coral is used in jewelry, while the yellow and white Gorgonian coral can grow to 3 feet in height. Divers will encounter neptune grass, while rocky crevasses make ideal homes for crustaceans and mollusks. If you’re offshore, look out for dolphins joyously riding the waves off the northern coast. Sardinia’s greatest marine success story is the reestablishment of the monk seal, once thought to be extinct, in the waters of Golfo di Orosei. Things to do in Sardinia – Traditional dinner of Sardinia made of cheese, sausage, bread and wine. Sardinia’s landscape is not romantic like Siciliy and mainland Italy. Despite its rocky and arid appearance it has a primordial beauty and simplicity that is reflected in its cuisine. There is very little pasta. Roasted vegetables, meats and fish dominate the menu instead. Cooking relies heavily on fish, often made into Spanish-influenced stews spiked with saffron. There are some excellent local cheeses-look out for the salty pecorino Sardo. 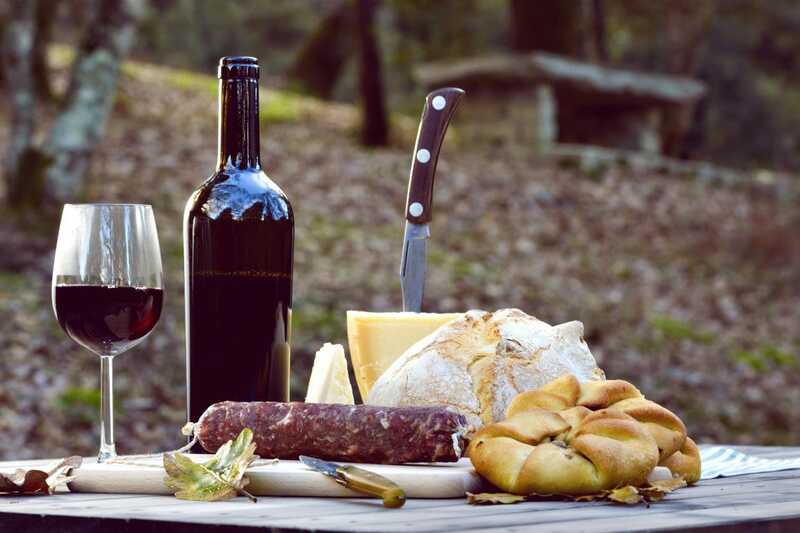 Carnivores will find plenty of suckling pig and young lamb on the menu, best enjoyed with Cannonau di Sardegna, a punchy, full-bodied red wine. Another delicious meal is Bottarga, mullet-egg caviar; it’s often served with the papery, crisp carta di musica, just one of Sardinia’s excellent breads. Look out for the delicate gnocchetti, made from durum wheat tinted with saffrona, unique to the island. Cagliari – capital of Sardinia wide angle view. 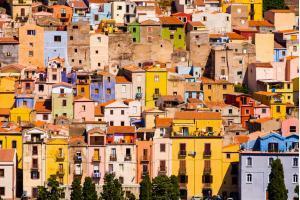 Roofs and houses of biggest city in Sardegna island, Italy. 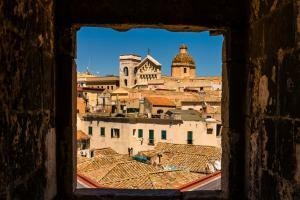 Look threw square window frame to Cagliari Old town center. 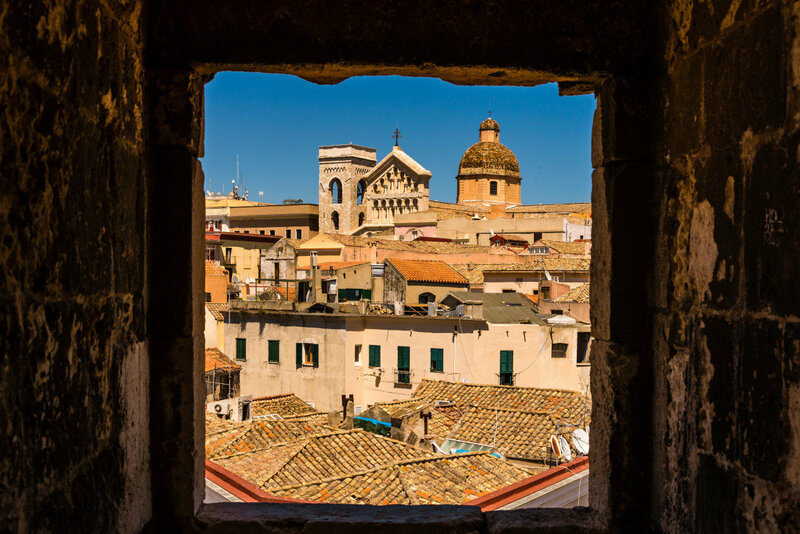 If you’re a traveler looking for more of a city experience rather than a nature one while visiting Sardinia, check out its capital city of Cagliari. Here you’ll find an abundance of nightlife as well as a great museum to see during the day. 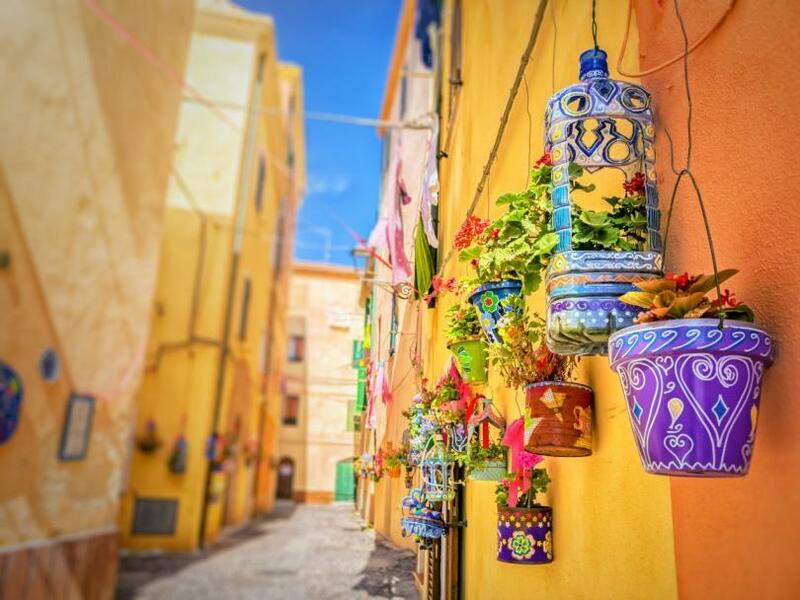 Sardinian possibilities include Olbia, handy for the Costa Smeralda, the lovely west-coast Cala Gonone and Alghero, the island’s main holiday destination, on the east coast. 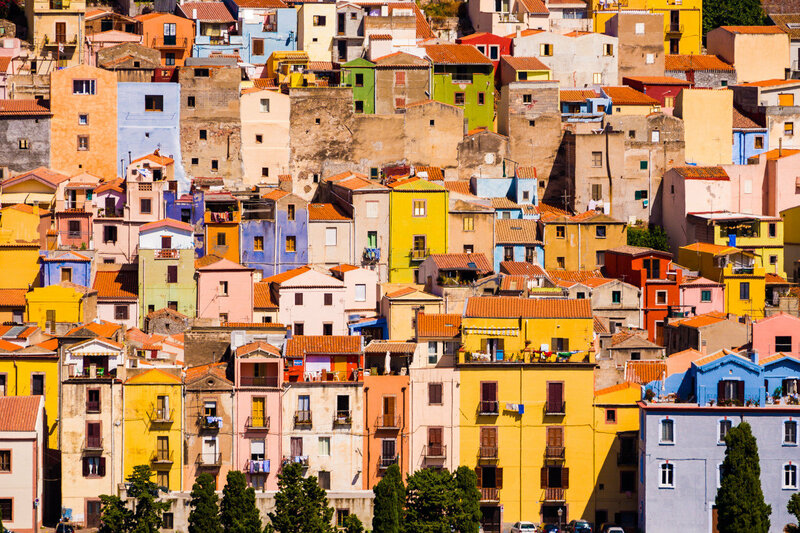 Cagliari is the capital and you should aim to stay in the old Castello quarter to experience the city at its best. Continental: Outside the city but with a regular bus service into town, this makes a good choice if you want to escape the crowds. Very much a family affair, this is a typical Italian summer hotel, with good-sized rooms, some with balconies, and adequate bathrooms. It is superb value, and you can use the facilities of its more expensive sister hotel, the Calabona. Forte Village – Cagliari: This sprawling, 5-star resort is the ideal place to be pampered in the Sardinian sun. An extensive range of accomodation, bars and restaurants are available throughout its exotic gardens. The famous Thermae del Parco Spa, used by international footballers recuperating from injuries, was prized with the prestigious World’s Leading Spa award in 2003. The resort has plenty of sport and recreation facilities to choose from such as golf, go-karting and outdoor ice-skating. Cala Luna: Cala Gonone has some of the loveliest stretches of coastline on the island, and this good- value hotel stands less than 50m (164ft) away from the beach. Italian-seaside in style, the rooms have good beds, though they’re plain and simply furnished. Don’t expect great interiors, but the staff are friendly—the family have run the place since the 1960s.